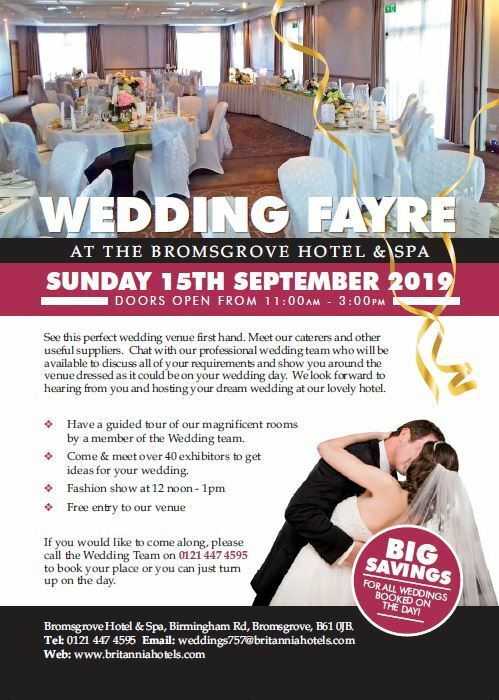 Bromsgrove Hotel & Spa can cater for wedding parties of up to 200 guests, and offers a stylish location for both larger wedding parties and smaller, more intimate occasions. Situated in the rolling hills of North Worcestershire, with close links to Birmingham, the Cotswolds, and Stratford-upon-Avon and only 20 minutes from Birmingham International Airport, the hotel is also in a fantastic location for a quick post-wedding getaway, to begin a honeymoon in style. 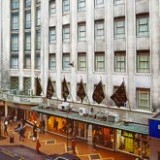 Bromsgrove Hotel & Spa provides a magical wedding location. Stunning gardens surround the hotel, as well as glistening lake, both making an ideal backdrop for any wedding photographs. Depending on the chosen wedding package, our dedicated wedding team will help the bride and groom style their suite, help with a personalised menu, arrange flowers and more, to make sure that their big day is just how they want it. We have three suites available for weddings, depending on the number of guests. Some of our wedding suites have their own private bar, dance floor and private entrance.